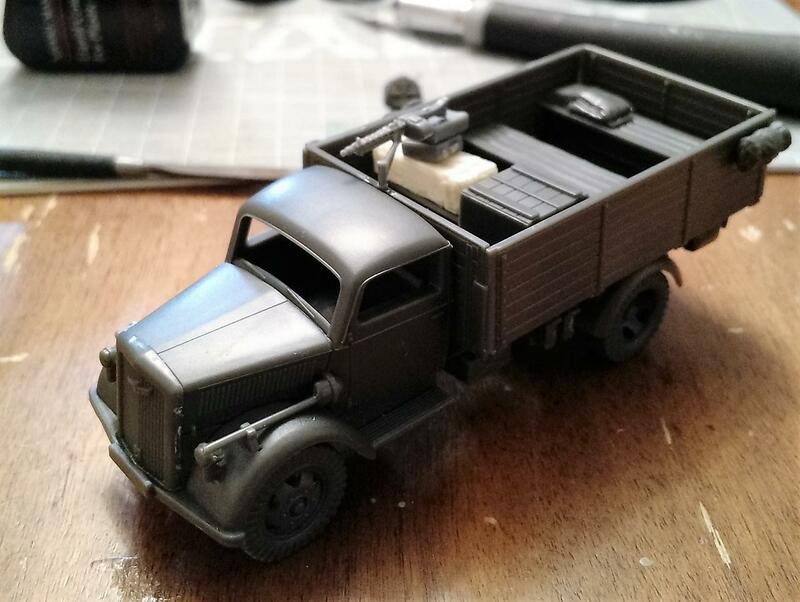 An integral part of my Adepticon Bolt Action team tournament list is the pair of Rubicon Opel Blitz trucks. After all two of the units in my army list are 12-man, inexperienced squads armed only with pistols. Those two units will not survive a walk across the table into incoming enemy fire so I will instead use the speed of the trucks to either outflank or fly up a road and dismount within assault distance of the target. At only 48 points per squad, the two pistol squads are cheap enough to throw at a much more expensive and elite enemy unit in order to deal some serious damage in close combat or to use as a speed bump. Make no mistake, if these squads get caught out in the open, I am in trouble and that is where the trucks come in. Each squad has its own truck and each truck has been upgraded with a 15 point MMG. With the changes in second edition, the trucks will always be able to fire their MMGs, even when empty. I do not expect anything incredible from these machine guns but, like the Storm Bolter on a Rhino, those extra shots to soften up a target can make a huge difference. My issue is that I always seem to forget about the empty transport rule and I have watched in horror, time and time again, as I carelessly leave my transports closer to the enemy than to friendlies. This, in Bolt Action, means the transports are destroyed without a shot being fired and at 54 points each, the trucks are not an asset I would like to lose so carelessly. 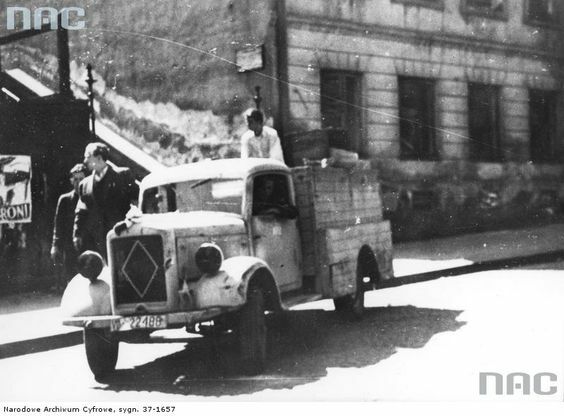 The trucks themselves are based on the Opel Blitz trucks used by partisan forces during the Warsaw Uprising. I stuck to the classic gray color scheme and added stowage both inside the truck bed and on the side to break up the solid color. Of course, the one thing that is not based on history is the truck cabin painted in racing green with a pair of white racing stripes. This shift from the norm is to match our Partibus display board and to bring more life to the Partiboys theme of the army. When I built the trucks I chose to keep both open topped and did not make use of the canopy. Originally I loaded up the truck bed with crates, jerrycans and other stowage items but after seeing the picture of a captured German half-track with a Polish resistance fighter waving a banner out of the back, well, I had to recreate this iconic photo. So far I have finished modeling and painting the machine gunner for one of the trucks and I have the figure to act as the banner bearer in the second truck. I need to convert the model to hold a standard pole (brass rod) and I need to source a 28mm scale Polish resistance banner. As for painting the two trucks are just about done. There is just a bit of cleanup needed on the cabs and then these two will be, for lack of a better phrase, off to the races. The kits themselves I could not be more happy with. Rubicon consistently delivers and the Opel Blitz is no exception (besides the drivers, they are horrible). With the almost 150 infantry models in this army I wanted to do something that ensured the vehicles stood out. With the machine gunner, banner bearer and racing stripes, I think there is no concern that the trucks will be lost in the background. Next Next post: 30 days until Adepticon!